Sometimes, a book is more than a book. 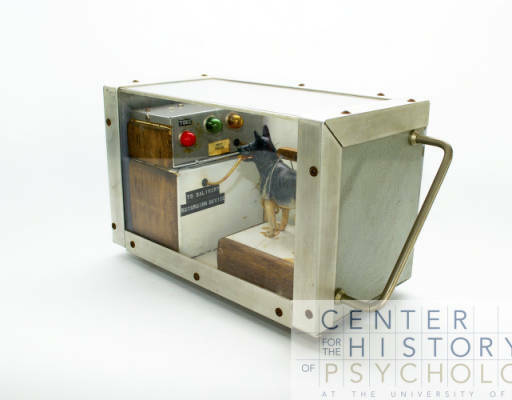 It’s a storage container for an archival gem that surprises and delights everyone at the CCHP. 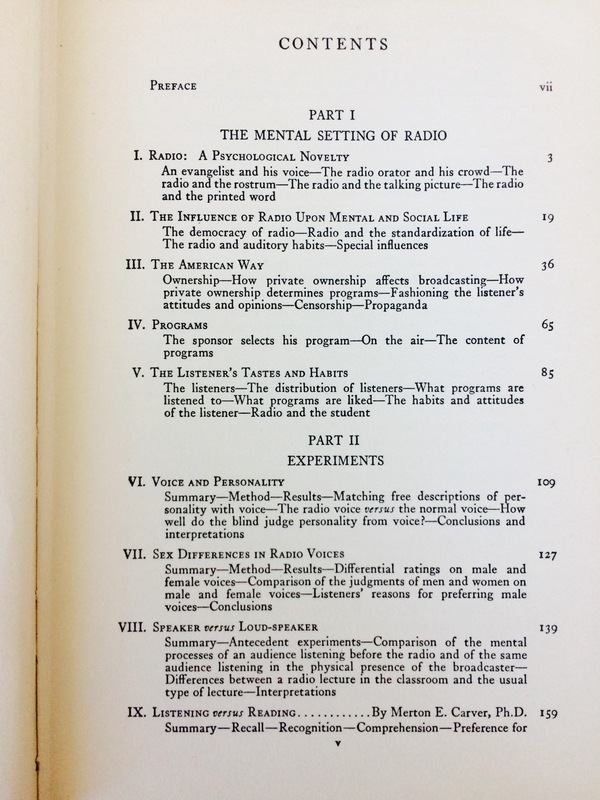 While working on a shelving project for the CCHP book collection, I opened a copy of Psychology: From the Standpoint of a Behaviorist by John B. Watson, 1919. 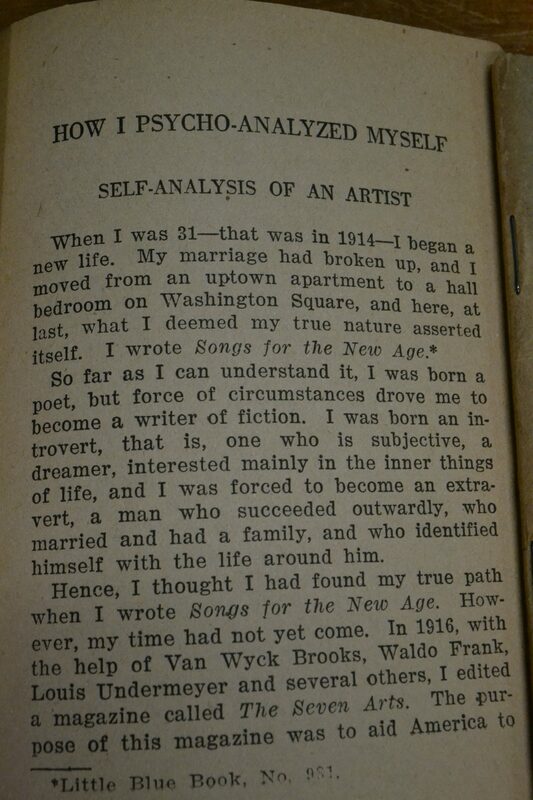 On the inside cover, Watson signed and inscribed the book to Mr. Arthur Hays. While this is an interesting discovery, the best was yet to come. 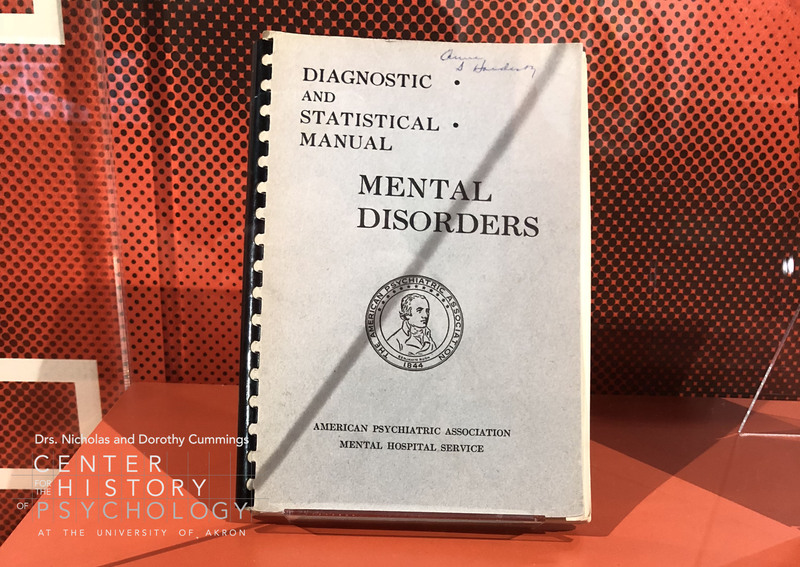 The book, “Psychology: From the Standpoint of a Behaviorist” by John B. Watson, includes a signed inscription. 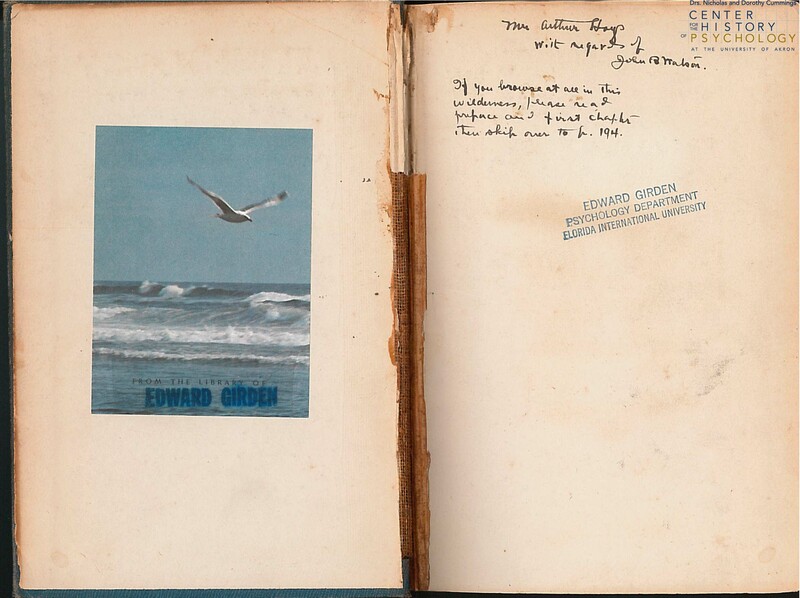 This copy, donated by Edward Girden, also includes a handwritten letter from Watson to Hays. 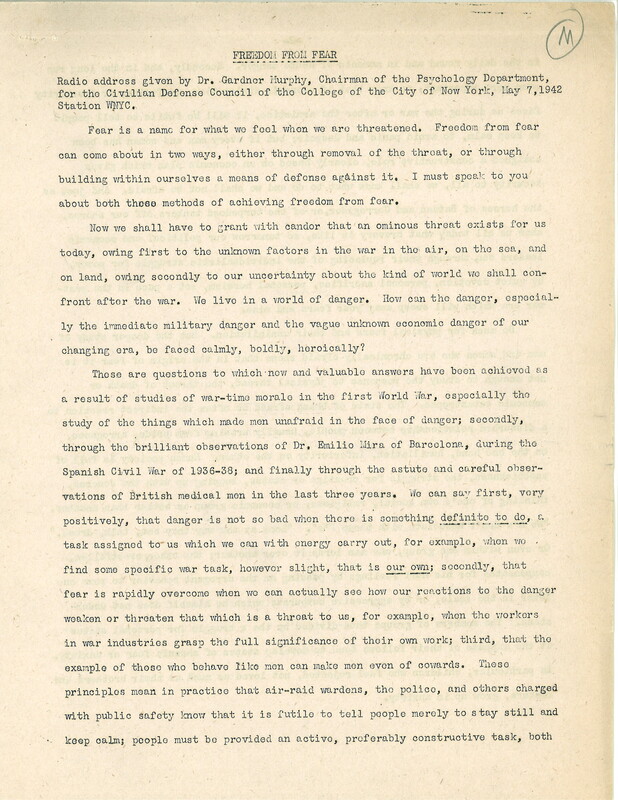 The letter is dated October 20, 1920. As we know, this is an important time in Watson’s life and career. 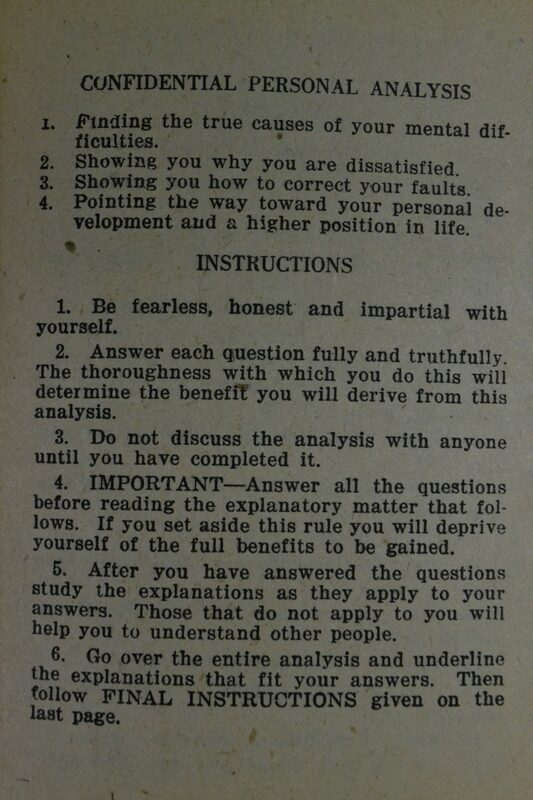 Read, in Watson’s own handwriting, some details from that time period! 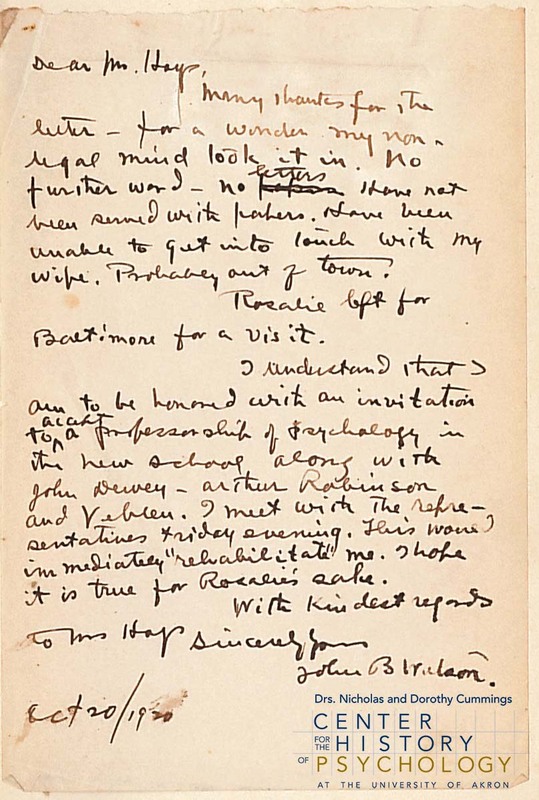 A handwritten letter from John B. Watson to Mr. Hays is adhered to the inside of “Psychology: From the Standpoint of a Behaviorist” by Watson. See the next photograph for a closer scan of this letter. 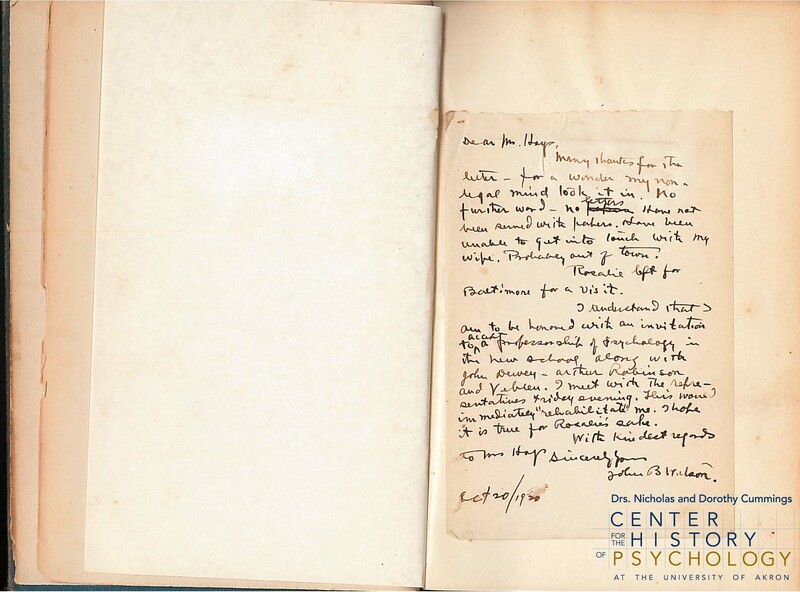 The letter from John B. Watson to Mr. Hays is adhered to the inside of the book, “Psychology: From the Standpoint of a Behaviorist”. 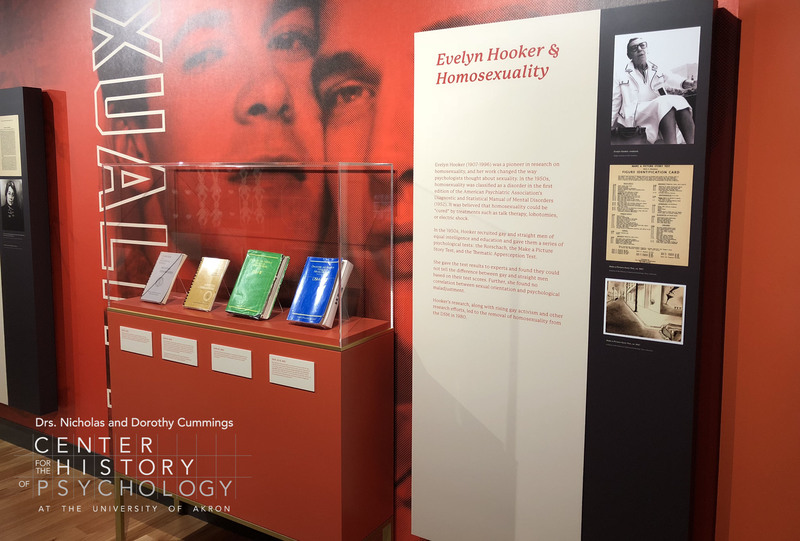 The book and letter are housed at the CCHP. Many thanks for the letter – for a wonder my non-legal mind took it in. No further word – no letters. Have not been served with papers. Have been unable to get into touch with my wife. Probably out of town. Rosalie left for Baltimore for a visit. 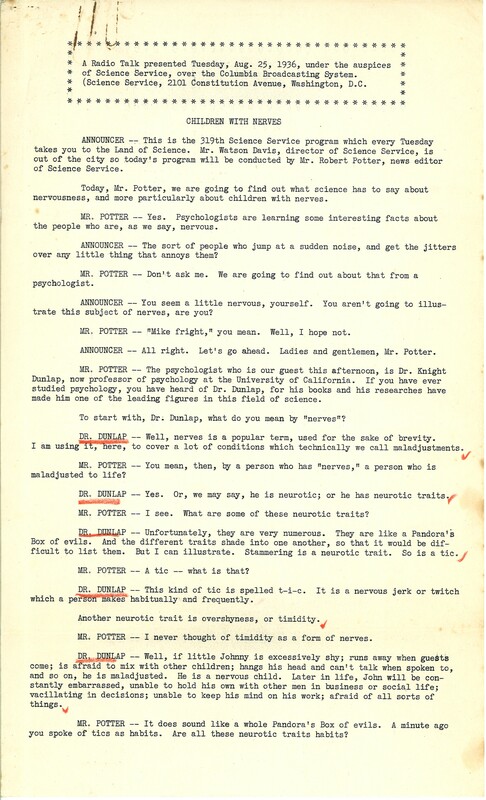 I understand that I am to be honored with an invitation to accept a professorship of psychology in the new school along with John Dewey – Arthur Robinson and Veblen. I meet with the representatives Friday evening. This would immediately “rehabilitate” me. I hope it is true for Rosalie’s sake. 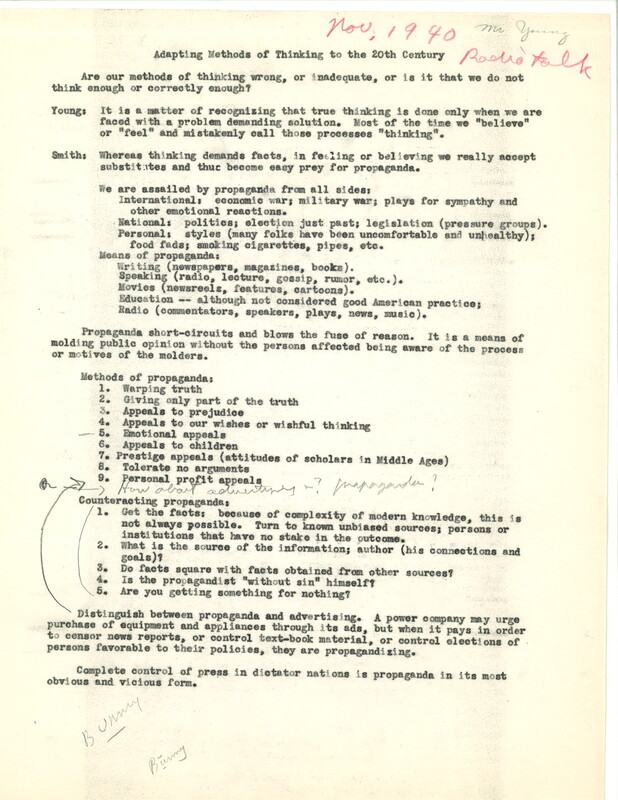 Finding an important document inside the pages of a book serves as a good reminder to be alert while working in the archives. You never know where the next gem will be found! 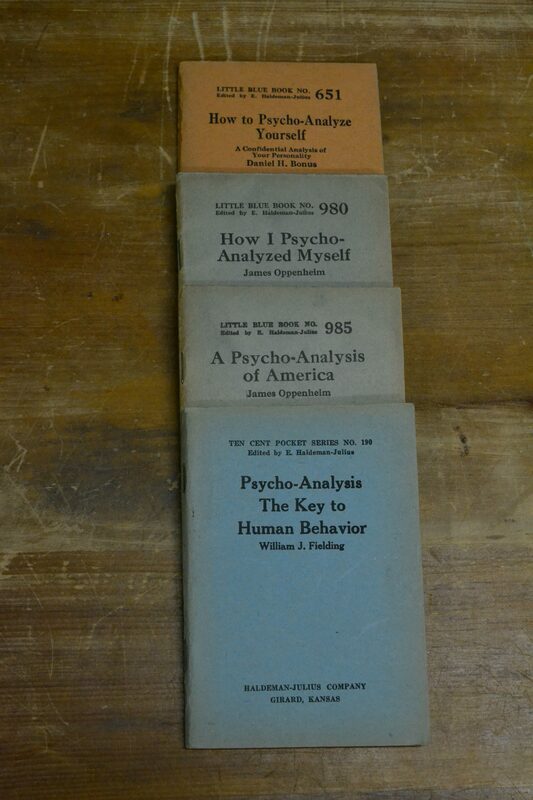 This month’s Book of the Month continues “The psychology of…” blog series. 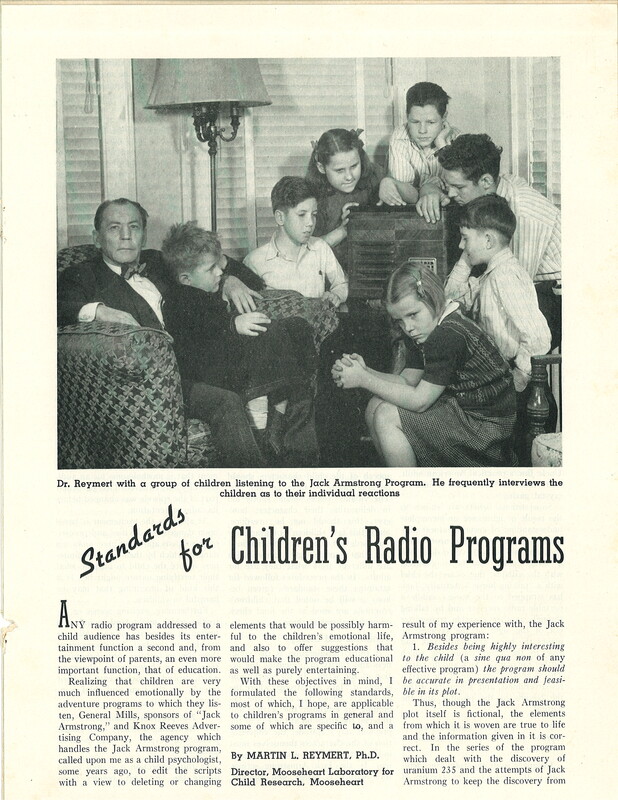 This time of year in the United States, most everyone is very aware of advertisements. The election has dominated our daily lives through TV commercials, flyers, radio ads, yard signs, and bumper stickers for weeks, if not months. And just when you think you will find relief after Election Day on November 8th, a new type of advertising takes over – the holidays! 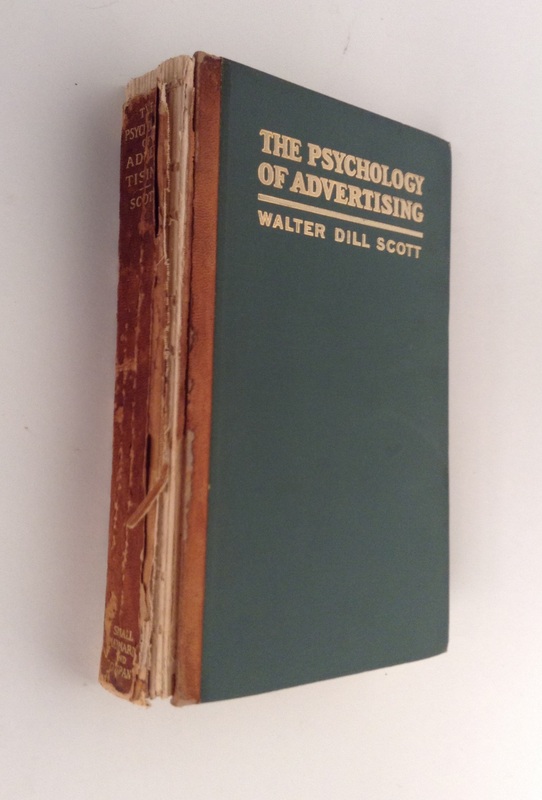 In recognition of this election and holiday season, the November/December book of the month is Walter Dill Scott’s The Psychology of Advertising (1908). 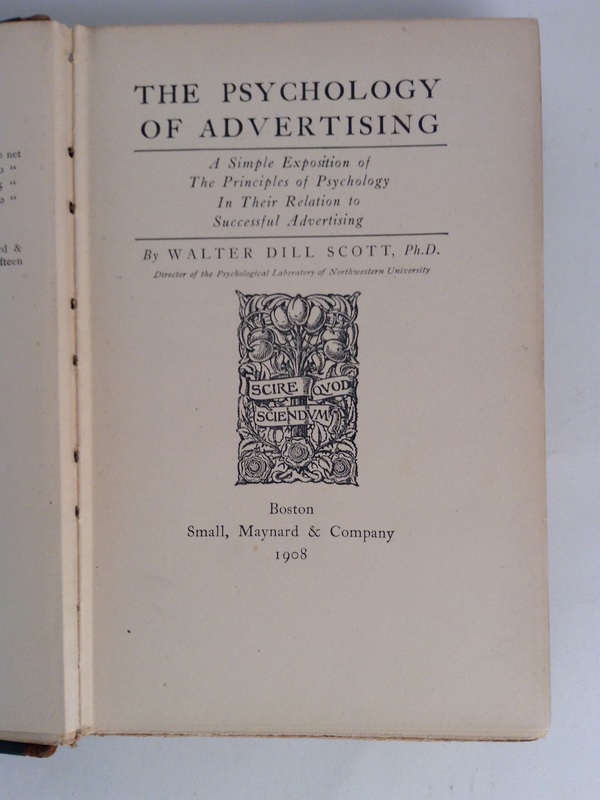 In his introduction, Scott wrote, “advertising has as its one function the influencing of human minds” (page 2). We may understand that advertisers are trying influence our buying choices during the holidays. We may not realize how much our own emotions influence our decisions. 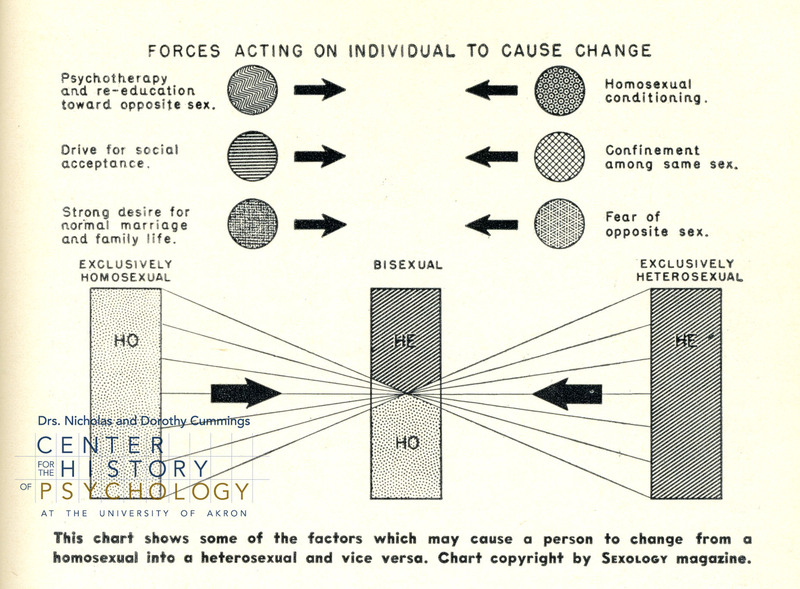 When outlining the feelings and emotions involved in advertising, Scott wrote, “In pleasure our minds expand. We become extremely suggestible, and are likely to see everything in a favorable light” (page 24). 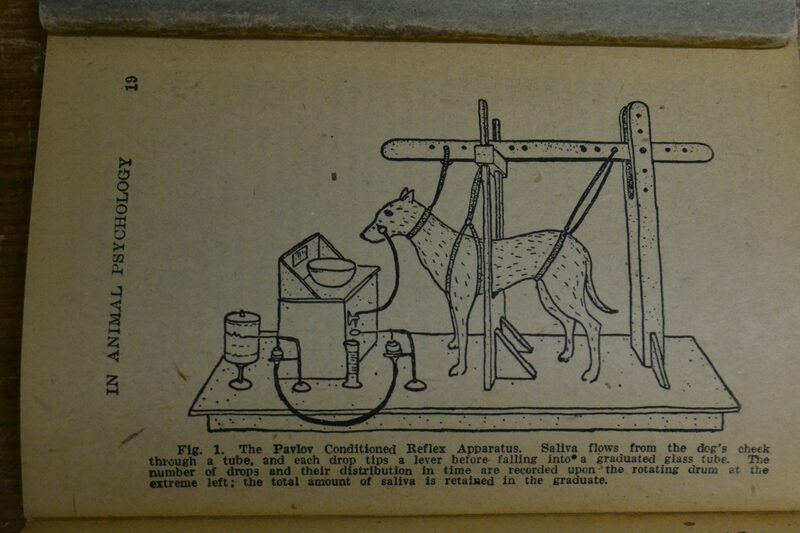 In this book, Scott further outlined suggestibility based on emotions, sympathy, and instincts. 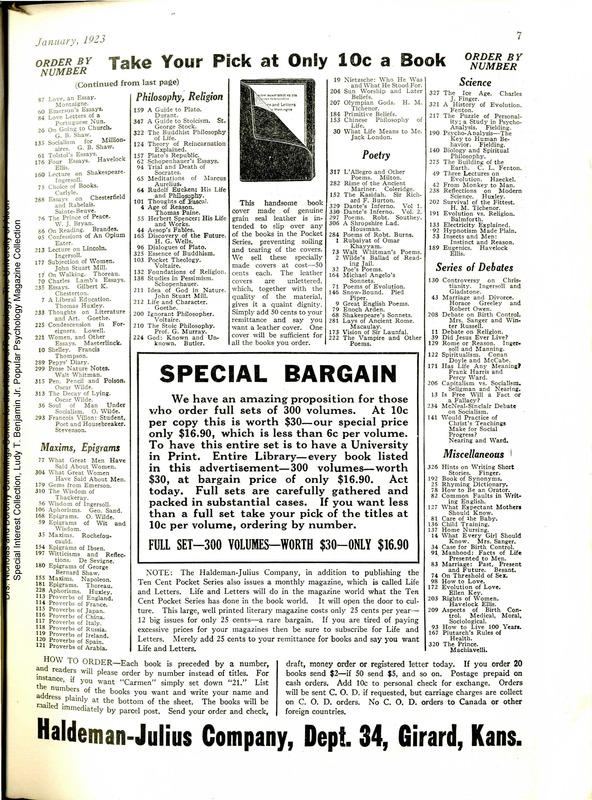 Think of your favorite holiday commercial or print advertisement. Was it the Folger’s waking up commercials, the Coca Cola polar bears, or the Budweiser Clydesdales? How did it make you feel? Keep your eyes – and your emotions – ready for this year’s holiday advertising campaigns.